I'm seeking a little sympathy. In the past four months, the top of my left foot has suffered four different breaks at three different times. I'm back in the boot and unable to put weight on it. This is the same foot a woman in a motorized wheel chair ran over three years ago! 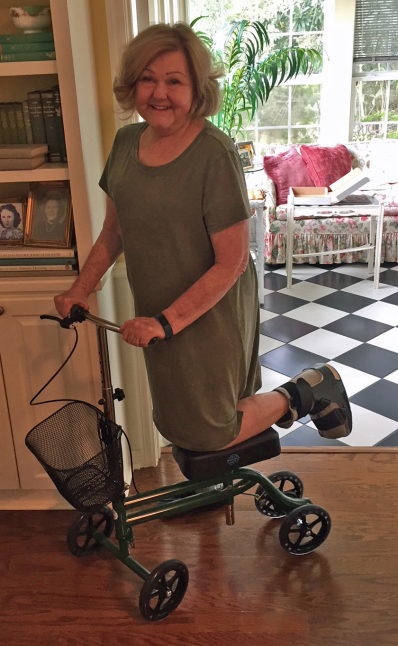 Oh, and three weeks ago I suffered a broken toe on the right foot after a casualty with my little knee cart, shown here. It's not looking as if I'll be able to wear any cute summer shoes. Now, if only I can walk . . . Plain spinster, Miss Jane Featherstone, helps the viscount she loves, Lord Slade, woo her heiress cousin so he can honor a deathbed promise to his father. Please note: This book is an expanded version of my out-of-print His Lordship's Vow. 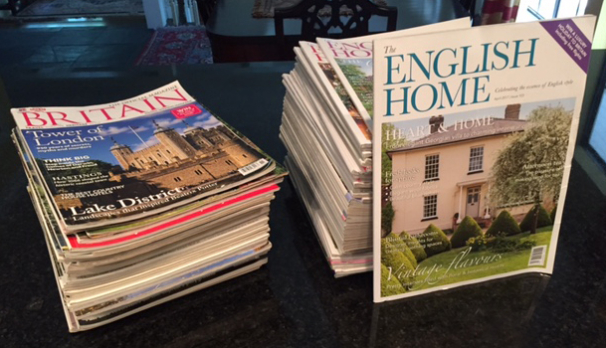 Nine winners will have the opportunity to choose between receiving English Home or one of the miscellaneous British magazines (heavy on history) to which I subscribe. These are gently used. Sorry, because of the high cost of postage, this contest is for U.S. residents only. I will have a different contest for international readers soon. 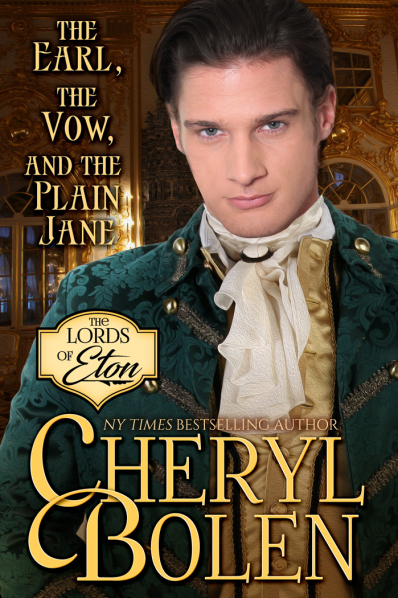 To enter, read this excerpt from The Portrait of Lady Wycliff, (The Lords of Eton, Book 1) and answer this question at Rafflecopter: When Harry tours his former residence, what is missing from the dining room? The deadline for entries is July 8, 2018.